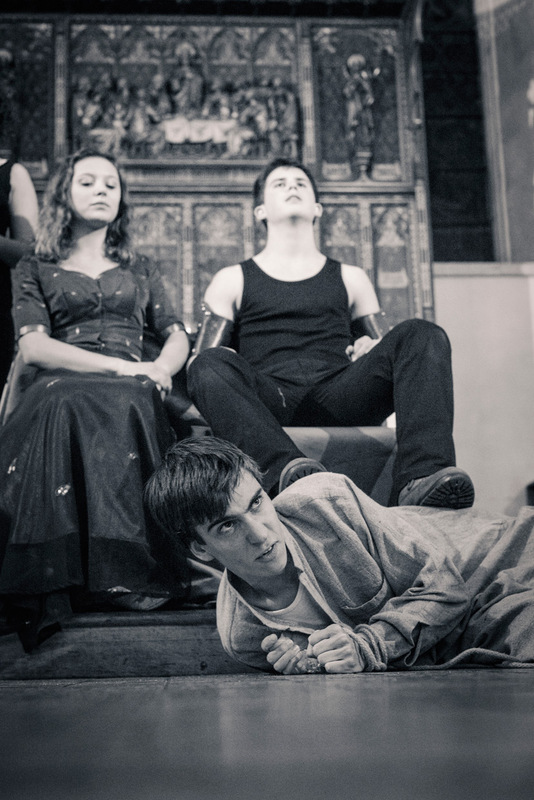 Last week I photographed the dress rehearsal for Tamburlaine the Great, directed by Olivia Morgan, and performed in the Michaelhouse Church. 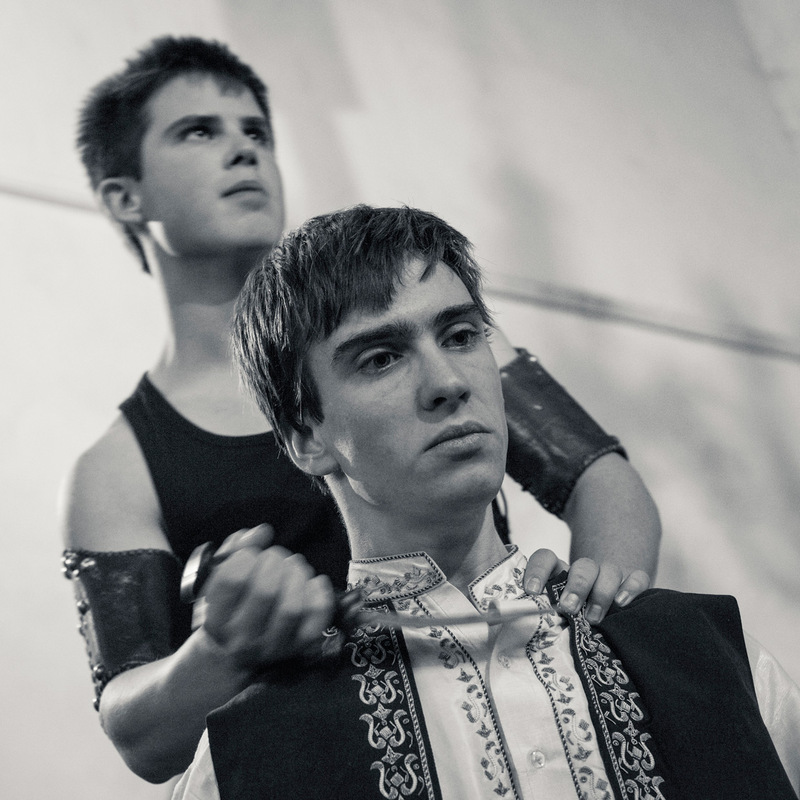 The play follows the life and conquests of Tamburlaine, played by Jack Parham. 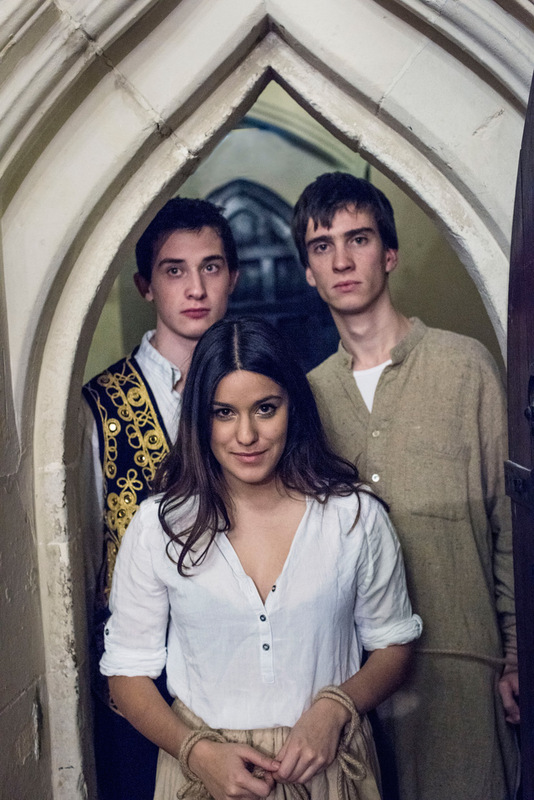 I had some time before the play started so took the opportunity to have a chat with the cast, and get some tips about important scenes to capture. 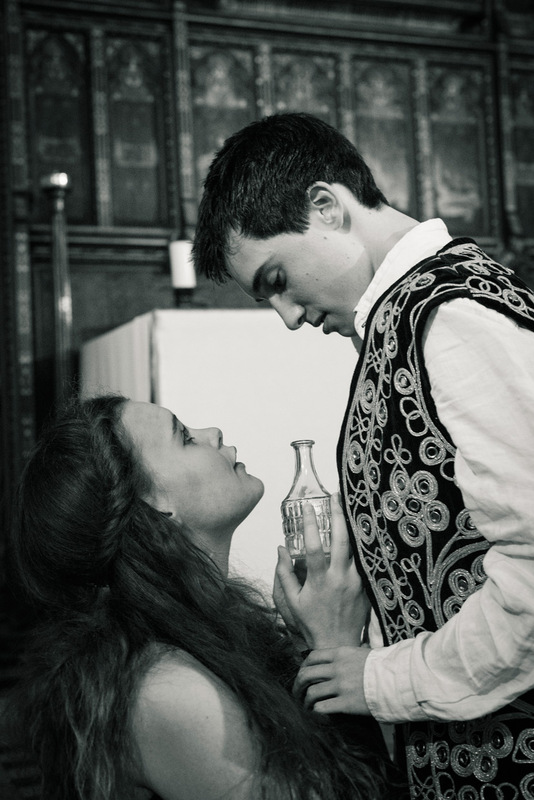 Jack Parham as Tamburlaine. 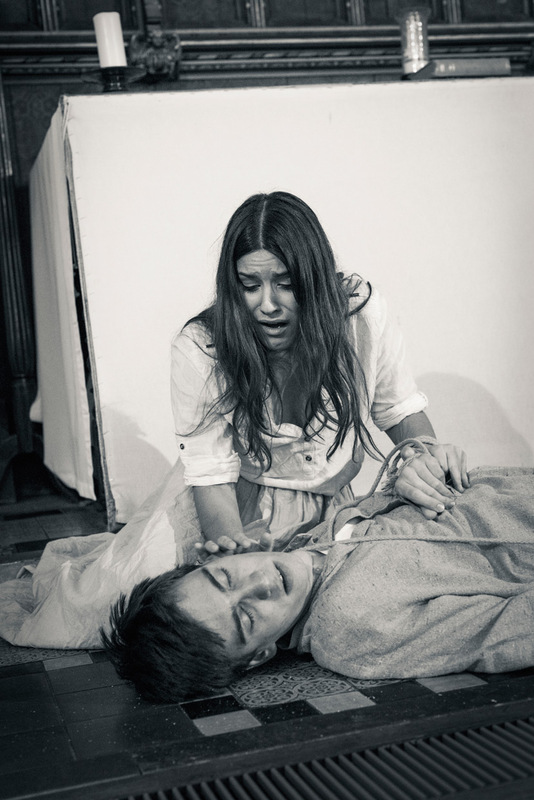 Here I was lying down on the church floor to get a low angle and capture the agony in the face of Jake Morris as Cosroe. 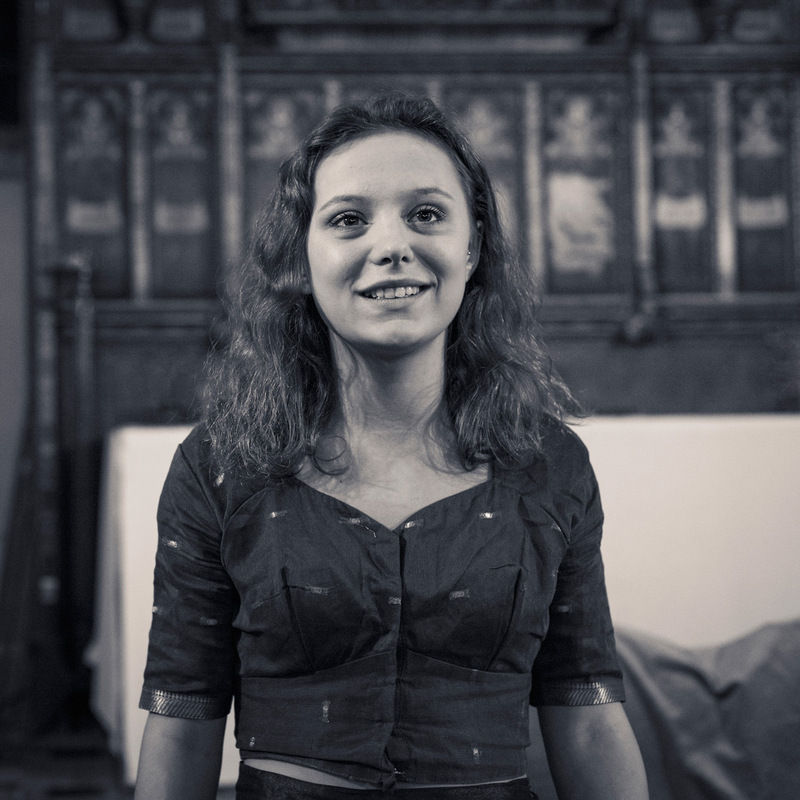 Katurah Morrish as Zenocrate, the love interest of Tamburlaine. 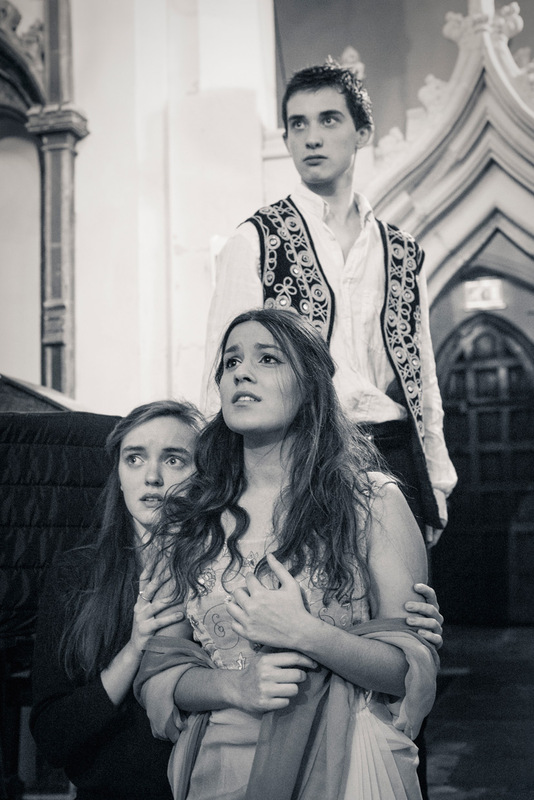 Joe Pitts and two of Tamburlaine’s new prisoners, played by Isobel Laidler and Nisha Emich. For this rehearsal I was able to move around pretty freely on stage, which allowed me to capture all these close-ups of the actors. David Tremain in the foreground. Tamburlaine is not the humblest of people. Here using a king as his foot stool. I felt David had a more interesting expression, so again went for a low angle to capture the humiliation and hatred. 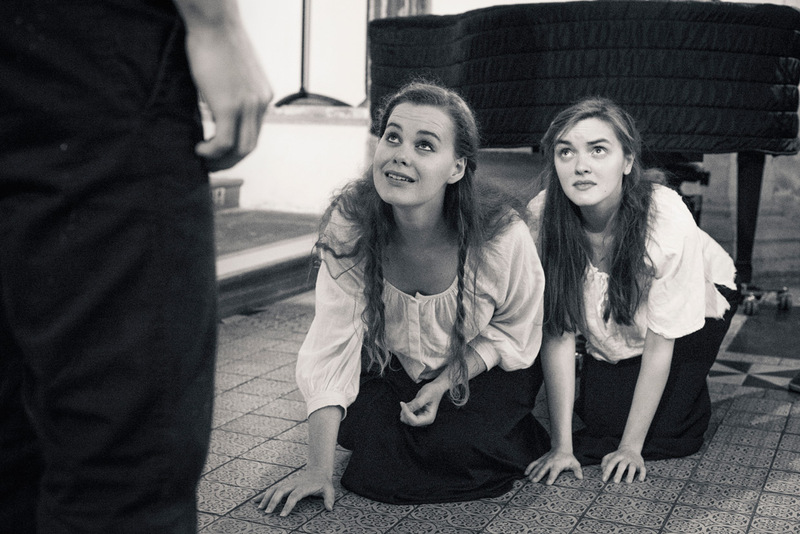 The two virgins are about to get sacrificed, played by Bethan Davidson and Isobel Laidler. Rather than including the entire scene I went in closer to just show part of Tamburlaine and his hand, to emphasise the power relationship. Tamburlaine with the blood of the virgins on a piece of cloth. Shot from a low angle to get Christ hanging from the ceiling in the shot. There was a lot of death in this play. Joe, David and Nisha in a short break between scenes. I only stayed for the first act of the rehearsal. This was the last scene I shot for the evening, with Bethan Davidson and Joe Pitts. Through cunning she escapes her tormentor by offering him a potion with protective powers. 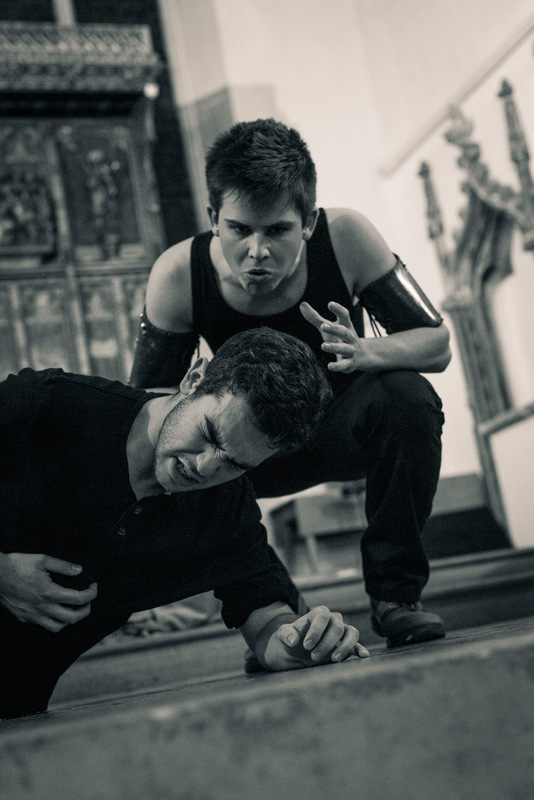 This was not the first time I have shot a play in a church. 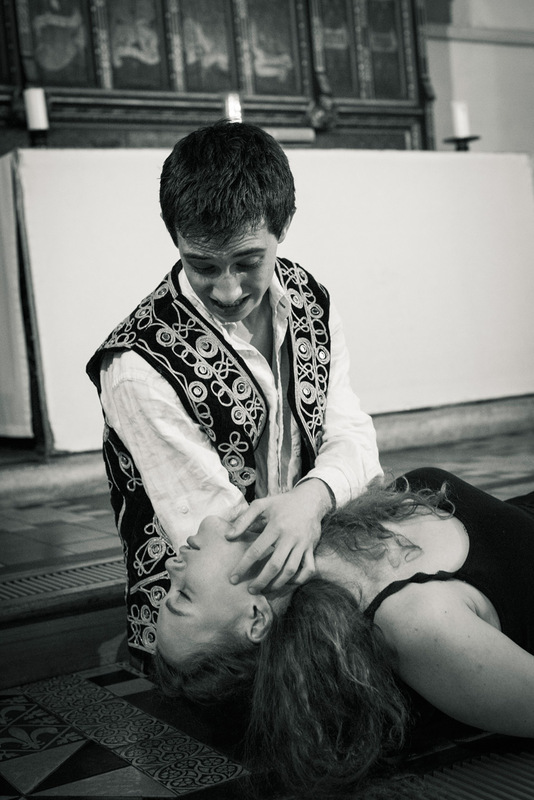 I photographed the opera Livietta and Tracollo in Clare College Chapel back in June, and both then and now, I was allowed to walk around on stage during the performance. This meant I could get into a better location to frame the shots for a more dramatic effect, which I took full advantage of. 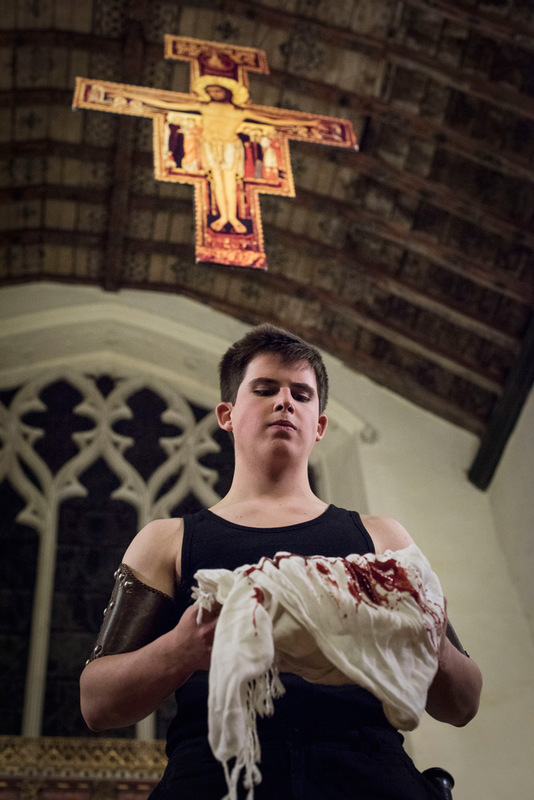 One important difference was that the Livietta rehearsal had been in daylight, while for Tamburlaine it took place in the evening, so I had to work with the available ambient light in the church. This meant shooting at higher ISO, and in post processing I opted for converting the photos to black and white. I am quite happy with how the pictures turned out in the end. The fact that there were breaks in-between some of the scenes meant I had more time to talk to the actors and check what was coming next. I also enjoyed my freedom to walk around on stage. That is it for this time, I hope you had a chance to see the play when it was running this past Friday and Saturday. For those interested there are more photos on Facebook.